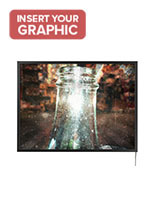 This Store Window Light Box is Ideal for Shopfront Displays to Draw in Attention of Passerby Customers. This Signage Uses Enrgy Efficient Bulbs to Save on Electricity Usage. This Store Window Light Box is one of Many LED Illuminated Signs Sold Here! Energy efficient LED bulbs consume less energy than comparable florescent bulbs, saving businesses money. 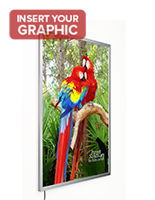 24" x 36" Frame holds large format posters which are visible from greater distances than standard size prints. This inexpensive store window light box, also known as LED sign, uses less energy than neon signs. 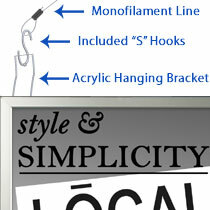 This display comes with all of the hanging hardware to suspend from the ceiling! This illuminating signage, store window light box that hangs in landscape or portrait orientation adapts to advertising needs! 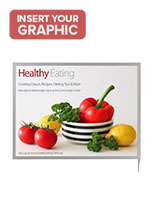 These signs will likely attract interest to any storefront exhibit. 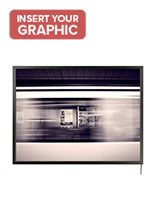 This store window light box integrates a snap open frame to promptly and effortlessly switch out semitransparent posters. This signage preserves energy and can cut back electricity bills to save businesses money. This store window light box is comparatively cheap and fun, when compared to non-illuminating poster frames. This signage is silver to complement every decor. 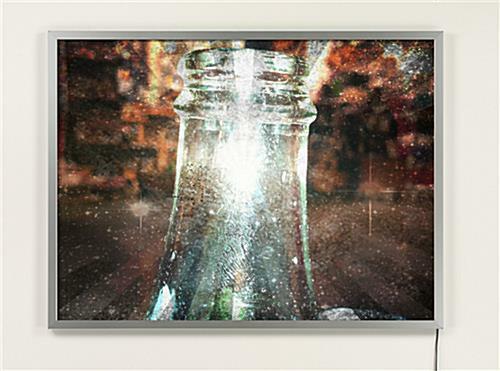 This store window light box that uses LED illumination includes a power cord. The long lasting LED bulbs provide a low maintenance display that will last many years. 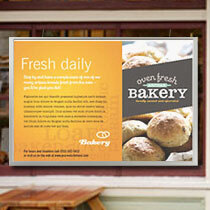 This silver store window light box features a snap open frame for quick and easy poster switching. 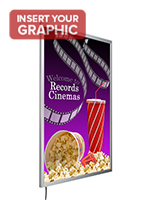 Users can create and insert custom signs. This store window light box that has a slim profile measures .83" deep. 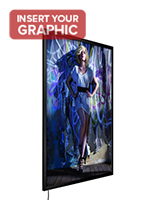 This LED signage is bright and can be seen day or night! 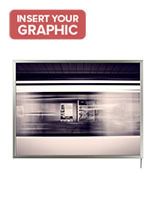 This store window light box holds 24" x 36" posters, which are a standard size that can be made by many printing places. 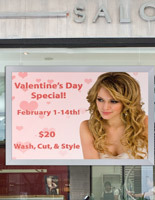 This sign frame is perfect for retailers to attract attention of passerby customers. Outside Dimensions: 25-5/8" x 37-5/8" x .83"
25.6" x 37.6" x 0.8"